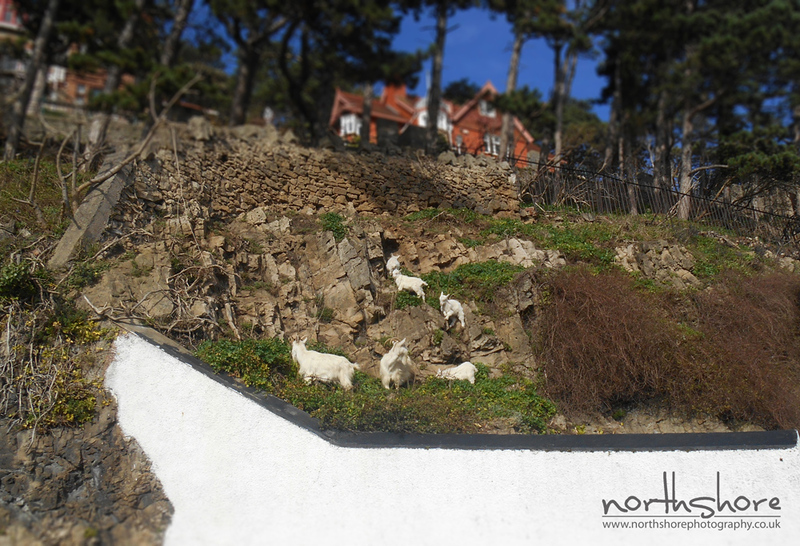 The Great Orme goats quite often like to venture down into town to see if there’s any tasty food to be had, this particular family were spotted just behind the Empire Hotel. 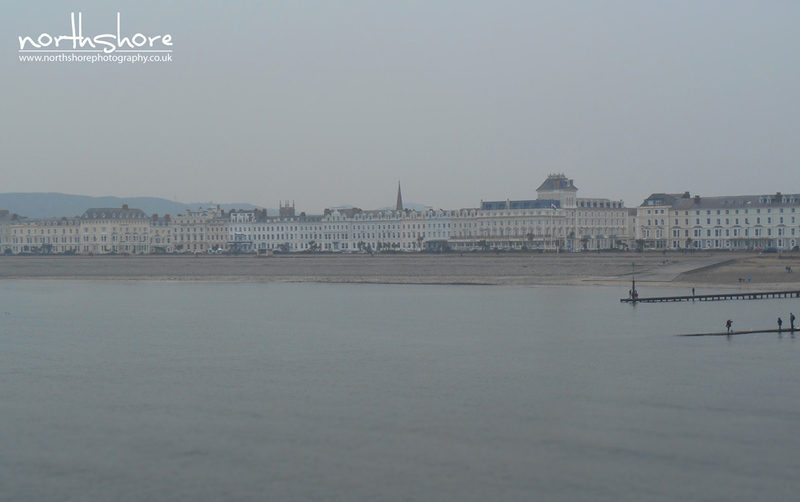 Yesterday was a great day to have a refreshing ride across the bay in a fast boat, or to just have a leisurely stroll along the prom! Sandbanks and sparkling water on the West Shore, taken from high up on the western slopes of the Great Orme. A look up Bodhyfryd Road, all the way towards the Great Orme and into the clear blue sky! Looking towards the Great Orme from the side of probably Llandudno’s most popular pub; The Palladium, run by JD Wetherspoon. Formerly the Palladium Theatre, it was built in 1920 and had 1500 seats in the stalls and also two balconies. After World War 2 the Palladium functioned principally as a cinema, until 1972 when it was split… with a bingo hall occupying the stalls and a 600 seat cinema above. Following its closure in 1999 the building was taken over by Wetherspoons and opened as it is today in 2001. Llandudno railway station earlier this morning, no doubt preparing for the busy Easter weekend rush! 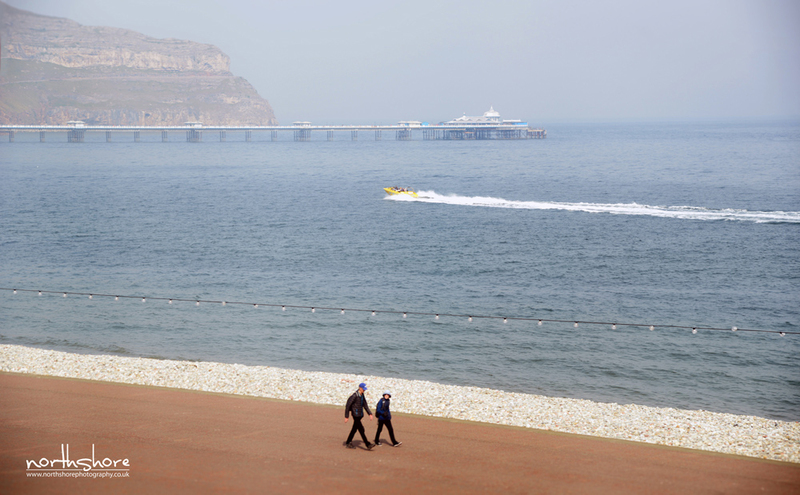 A rather grey looking promenade, captured from the pier yesterday afternoon. The Fat Cat is back in Llandudno! After closing in April 2013, a new version of the old favourite reopened on Saturday night at its original site on Upper Mostyn Street. The cafe bar offers cocktails and food, including a ‘build your combo’ menu for pizza, burgers and salads. See the menus here. A panoramic view from Marine Drive, looking towards Puffin Island and Anglesey.